BUKIT LANJAN: Jack Ma is not enough! ICT infrastructure is inadequate or outdated! Yes! We have got the world’s best man for the job - to forward Malaysia’s use of ICT (Information, Communications and Technology) for the future. And that man is Jack Ma. “But that is absolutely just not enough. Jack Ma is no saint, magician or God in ICT. Without a proper infrastructure for ICT, progress is limited or stunted,” Gerakan Deputy Speaker Syed Abdul Razak Alsagoff said. He said the federal government must seriously take immediate measures to address IT professional Dig Bijoy Chakraborthy’s concern of Malaysia’s comparative sluggish internet speed. Chakraborthy spoke to online news portal Free Malaysia Today in response to international IT firm Akamai’s 2017 report that outlined the average internet performance across the globe, including in 15 South Pacific countries. (Full FMT report below). 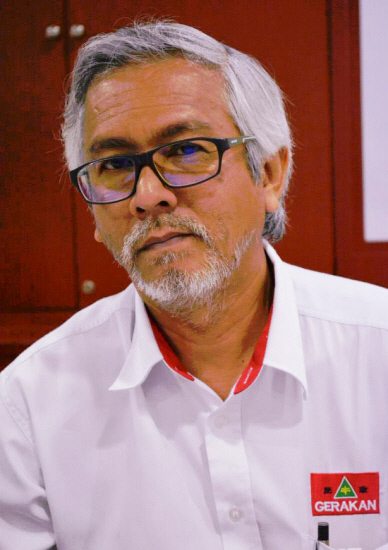 Syed Razak said the federal government could not further delay addressing the IT infrastructure problem because “internet users are growing vigorously”. 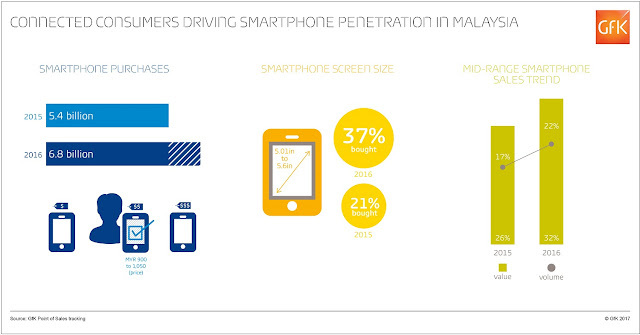 “According to Kantar TNS’s Connected Life study, constant connectivity and digital media have enabled Malaysians to leap-frog to be one of the most socially engaged markets in the world. 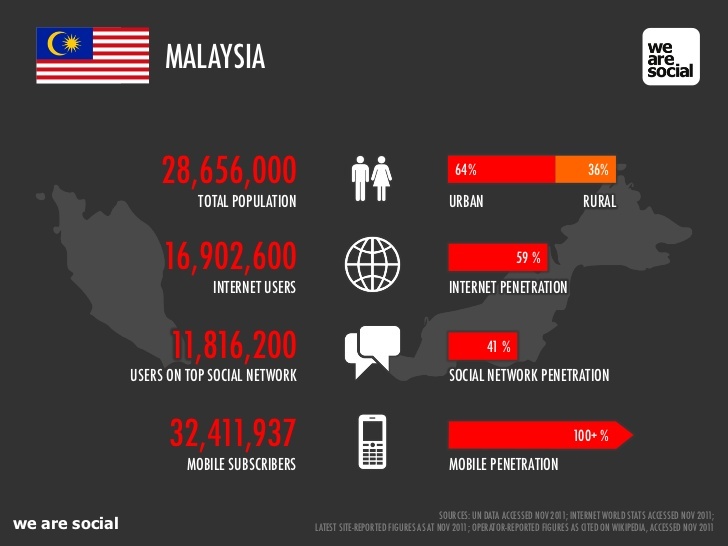 “And, over three fifths (62%) of Internet users in Malaysia access social media networks daily, compared to 42% globally, whilst 52% use instant messaging,” he added. Syed Razak, who is Gerakan’s nominee to contest N.37 Bukit Lanjan in the coming 14th General Election (GE14), said Facebook was listed as the most popular application with about half (48%) of Malaysian Internet users and 88% visiting the site weekly. WhatsApp is not far behind for weekly use, at 72% of Malaysian Internet users, however it’s the favourite platform for just one fifth of the population. Last year (2016), statistics show Malaysia had 21,090,777 million internet users or 68.6% of population penetration. The global internet users for 2016 is registered as 3,424,971,237 or 0.6% Malaysians. Syed Razak said: “The federal government and the telcos must start working on the infrastructure fast. And make sure the cost remains affordable to Malaysian users." IT professional says infrastructure issues, slower bandwidth and lack of fibre optic cables used are some of the factors affecting the country's internet connection. PETALING JAYA: Ever felt like tearing out your hair over the slow internet connection? An IT professional says the comparatively sluggish internet speed in Malaysia is largely due to infrastructure issues. This is because certain areas are not the target market of telecommunications companies and might not even have towers to detect a signal, Dig Bijoy Chakraborthy told FMT. He was responding to Akamai’s 2017 report in which the international IT firm outlined the average internet performance across the globe, including in 15 South Pacific countries. Topping the list was South Korea (28.6 megabits per second), followed by Hong Kong (21.9 Mpbs), Singapore (20.3 Mpbs), Japan (20.2 Mpbs), Taiwan (16.9 Mpbs), Thailand (16 Mpbs), New Zealand (14.7 Mpbs), Australia (11.1 Mpbs), Vietnam (9.5 Mpbs), Malaysia (8.9 Mpbs), Sri Lanka (8.5 Mpbs), China (7.6 Mpbs), Indonesia (7.2 Mpbs), India (6.5 Mpbs) and the Philippines (5.5 Mpbs). According to the report, Malaysia’s internet connection speed saw a 40% improvement from the first quarter of last year, but it still lags behind in the region, against countries like Vietnam and Thailand. Malaysia’s internet connection speed is also less than half of Singapore’s, at 8.9 Mbps against the city state’s 20.3 Mbps. Chakraborthy said the slower speed could also be due to Malaysia’s rapid development in terms of transportation, adding that the constant excavations necessary could affect the underground fibre optic cables. He said the internet network might improve once the transportation infrastructure for the MRT line in the Klang Valley was complete. Other reasons include a slower bandwidth, which is the range of frequencies within a given band used for transmitting a signal. “A person might be subscribing to a 100 Mpbs but they might not be getting the full 100 Mpbs due to the poor bandwidth. “Because of that, when a 4G connection is used in Singapore and Australia, it is really fast. You will get value for money as compared to Malaysia,” Chakraborthy told FMT. He added that the speed also depends on the number of fibre optics installed by an internet service provider. Chakraborthy said Malaysia has good corporate internet packages compared with home internet packages, which are usually slower. “This is due to different packaging with telecommunications companies offering better packages for corporations. It also depends on configuration and the constant maintenance,” he said. On why Vietnam had better internet connection than Malaysia, he said Vietnam’s government had started investing in broadband technology about five to 10 years ago. “They (Vietnam) will install the latest technology right away. It is relatively new, and that is why it is working better,” he said. Malaysia, meanwhile, has been building its internet infrastructure longer than Vietnam, he said. He said Singapore’s speed was faster as it is a smaller country which makes it easier to manage and monitor the speed. This is not the first time Malaysia’s internet speed has been highlighted. In 2015, Communications and Multimedia Minister Salleh Said Keruak came under fire from several politicians for claiming that Malaysians prefer slower broadband speeds. 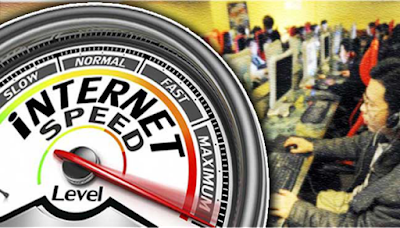 Salleh had said Malaysians prefer slower broadband packages with speeds between 384 Kbps and 1MB. 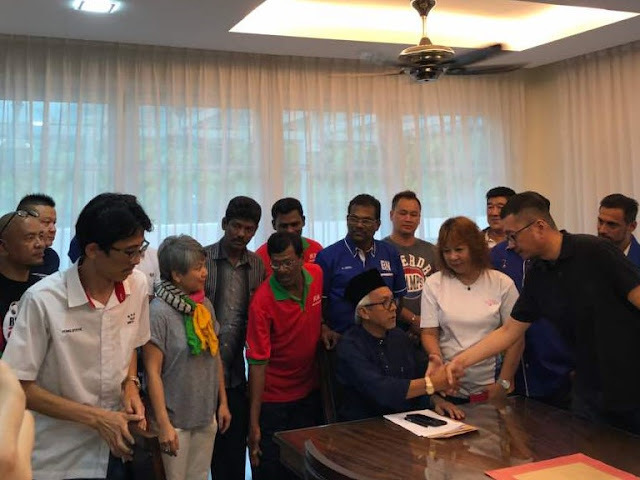 His comments drew criticism from former international trade and industry minister Rafidah Aziz and DAP veteran Lim Kit Siang. In 2016, Salleh said Malaysia’s priority was to ensure that the people have access to internet, not how fast it is." We can only get wealth from earth. Open up the land, sea and sky to Malaysian. Throw all aliens away.